Choosing the right windows and doors for your home is important, which is why we offer a wide range of styles to enable you to pick what’s right for you and your home. 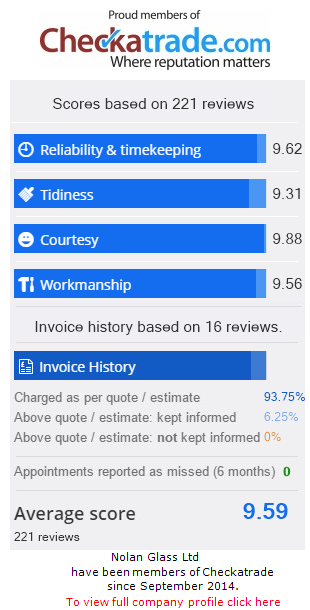 Offering long lasting, virtually maintenance free installations, the right windows and doors from us can be the perfect finishing touch for your home. We use the latest double glazing technology alongside multi-chambered profiles to ensure our windows and doors are highly energy efficient. They are designed to keep you as warm as possible whilst saving you money on your heating bills, the reduced carbon dioxide emissions also mean they are better for the environment. Working from our head office and showroom in Edgware, we offer doors and windows installation across the North London area. 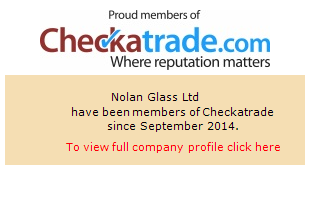 I was greatly impressed by the professionalism of Nolan Glass. The fitters worked steadily throughout the day and left my premises clean and tidy. Everyone at Nolan Glass was very helpful and pleasant. I am delighted with the aesthetics and finish of the windows and it was clear that the filters took pride in their work.